A 56-year-old woman with an unremarkable medical history presented with a sudden transient ischemic attack that resolved completely. Doppler ultrasonography of the carotid arteries did not reveal any abnormality. 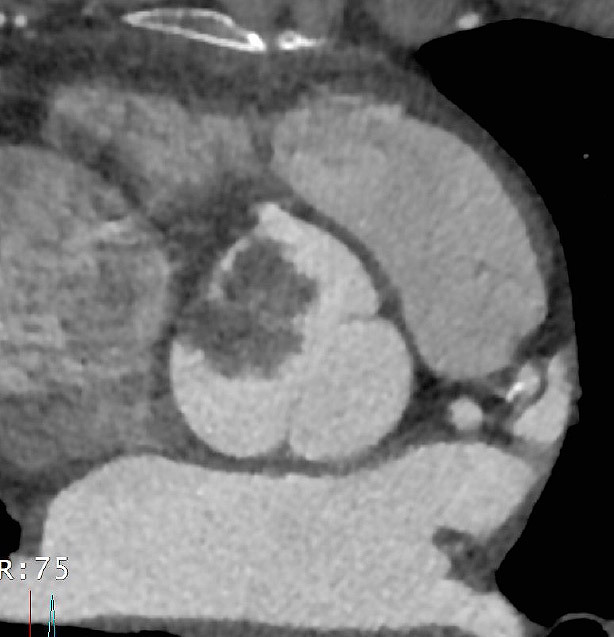 Contrast-enhanced aortic CT was performed to evaluate the heart as a possible source of emboli.